Here I aim to give an insight to some of the audio equipment that I’ve serviced and what has been or is currently on the bench. 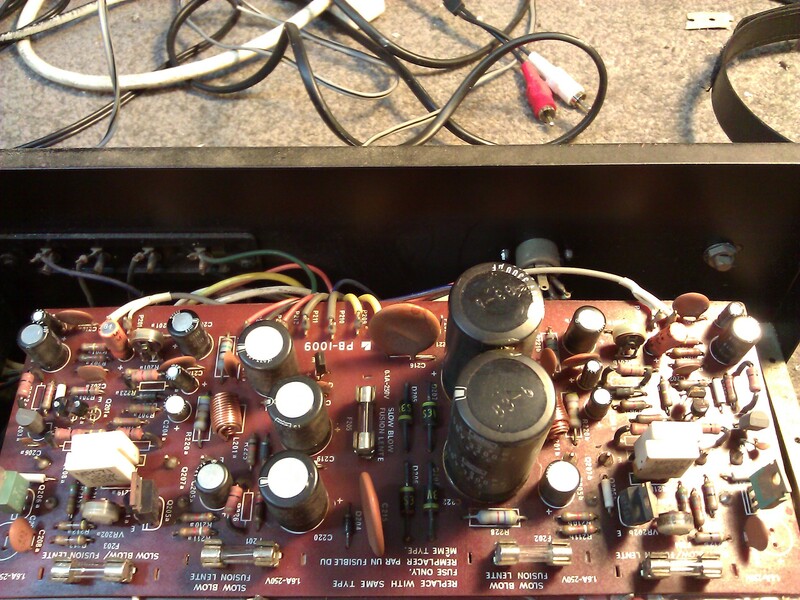 An inspection of the electronics revealed some very noisy transistors, dirty controls and some capacitors that were past their used by date. 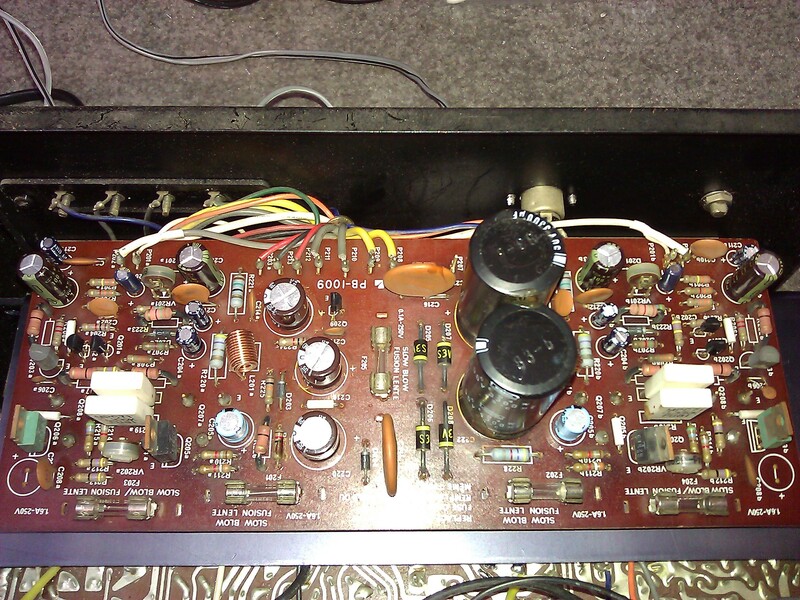 The owner wanted a basic refurbishment so I went through and replaced transistors/capacitors in the pre-amp and tone sections and replaced the differential input transistors on the main board and the thermal sensing ones. 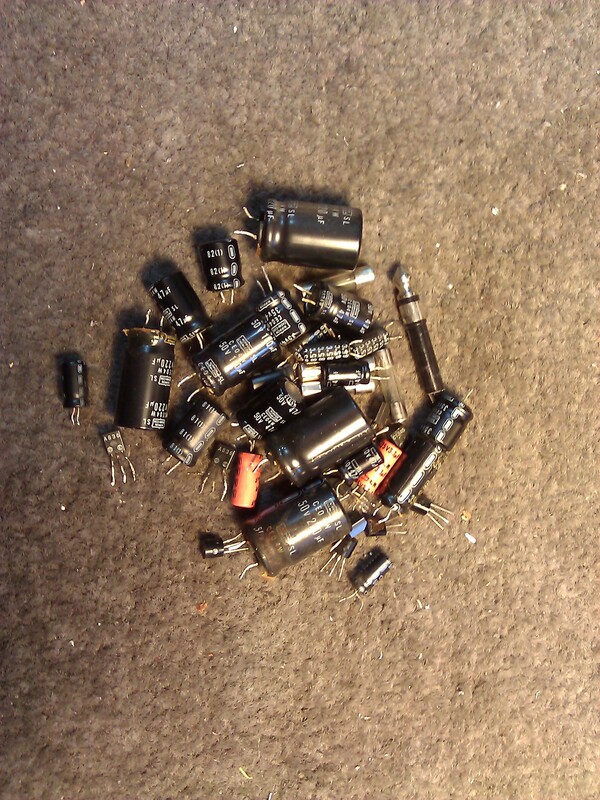 All electrolytic capacitors were replaced, the main filter caps were checked and found still to be within specification. 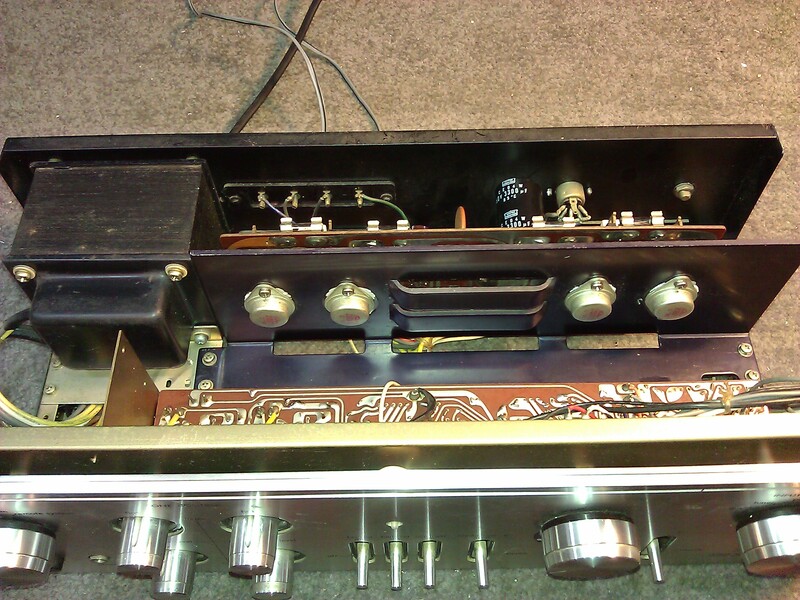 Controls/switches were cleaned/lubed and output stage idle current/DC offset was checked and adjusted and unit was run up to full power with no problems. The Luxman is now on test and sounding fantastic. 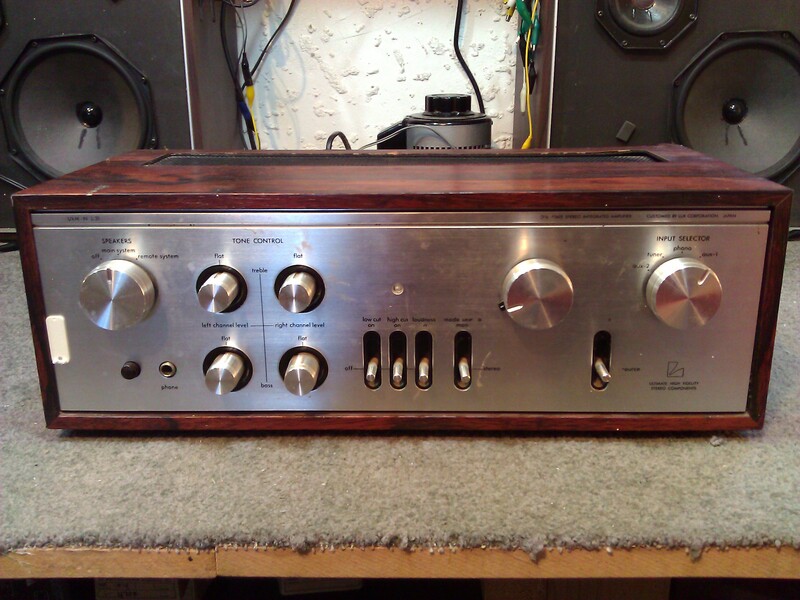 I’m sure the owner will be pleased as it was his Fathers and he wanted to have it working again.